What do I do with the inspection report? What is the Inspection Agreement that I sign? An inspection agreement lets you know what an inspection is and what it isn't. 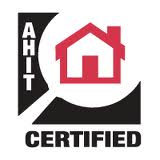 It is a standard agreement that I took from the NACHI (National Association of Certified Home Inspectiors) web site. 1) THIS AGREEMENT is made and entered into by and between Advantage Home Inspection (TREC License Number 8534) referred to as “Inspector”, and the “Client”. 2) The Inspector will perform a visual inspection and prepare a written report of the apparent condition at the time of the inspection of the existing readily accessible and clearly visible installed systems and components of the property. Installed systems and components: structural components; exterior; interior; roofing; plumbing; electrical; heating and central air-conditioning (weather permitting); insulation and ventilation. Readily accessible systems and components: only those systems and components where Inspector is not required to remove personal items, furniture, equipment, soil, snow, or other items which obstruct access or visibility. Latent and concealed defects and deficiencies are excluded from the inspection. 3) The parties agree that the “New Texas Real Estate Commission Home Inspection Standards of Practice” shall define the standard of duty and the conditions, limitations, and exclusions of the inspection. A copy of the “Standards” will be provided either digitally or by hand upon request. a) That all defects have been found or that the inspector will pay for repair or replacement of disclosed or undisclosed defects. The inspection fee is nominal given the scope of the inspection and the risk of liability associated with performing a home inspection. Evaluations by qualified tradesmen may lead to the discovery of additional deficiencies. b) That any of the items inspected are designed or constructed in a good and workmanlike manner. c) That any of the items inspected will continue to perform in the future as they are performing at the time of the inspection. 5) If Client is married, Client represents that this obligation is a family obligation incurred in the interest of the family. 6) This Agreement represents the entire agreement between the parties and there are no other Agreements either written or oral between them. The Inspection and report are performed and prepared for the sole and exclusive use and possession of the Client. No other person or entity may rely on the report issued pursuant to this Agreement. In the event that any person, not a party to this agreement, makes any claim against Inspector, its employees or agents, arising out of the services performed by Inspector under this Agreement, the Client agrees to indemnify, defend and hold harmless Inspector from any and all damages, expenses, costs, and attorney fees arising from such a claim. 7) Systems, items, and conditions which are not within the scope of the building inspection include, but are not limited to: radon, formaldehyde, lead paint, asbestos, toxic or flammable materials, mold, fungi, other environmental hazards; pest infestation; security and fire protection systems; household appliances; humidifiers; paint, wallpaper and other treatments to windows, interior walls, ceilings and floors; recreational equipment or facilities; underground storage tanks, energy efficiency measurements; concealed or private secured systems; water wells; heating system accessories; solar heating systems; heat exchangers; sprinkling systems; water softeners; central vacuum systems, telephone, intercom or cable TV systems; antennae, lightning arrestors, trees or plants; governing codes, ordinances, statues and covenants and manufacturer specifications, recalls, EIFS. Client understands that these systems, items and conditions are excepted from this inspection. Any general comments about these systems, items, and conditions of the written report are informal only and do not represent an inspection. 8) In the event of a claim by the Client that an installed system or component of the premises which was inspected by the Inspector was not in the condition reported by the Inspector, the Client agrees to notify the Inspector at least 72 hours prior to repairing or replacing such system or component. The Client further agrees that the Inspector is liable only if there has been a complete failure to follow the “Texas Real Estate Commission Home Inspection Standards of Practice” and only is liable for the expense of the inspection. Furthermore, any legal action must be brought within two (2) years from the date of the inspection, or will be deemed waived and forever barred. The Client is hereby notified that there is a Real Estate Recovery Fund available, established under Section 23 of the Texas Real Estate License Act for reimbursement of certain aggrieved persons. The Texas Real Estate Commissions mailing address and telephone number are: 1101 Camino Lacoste, Austin, Texas, 78752; (512) 465-3960. Client has read this entire Agreement and accepts and understands this Agreement.